Rather than write about my wedding day again you can read the two posts that already exist. 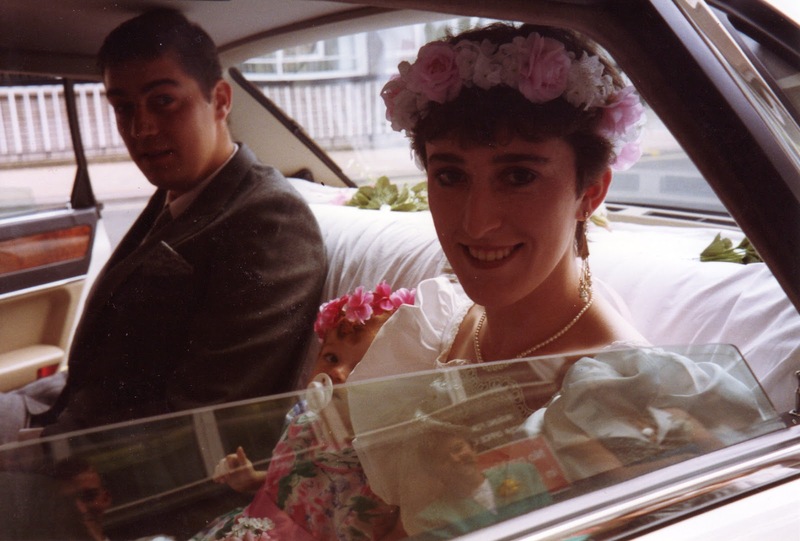 I love this picture because I now realise how young we actually were when we got married and my mum is reflected in the car window. Katie from orlajames.com said "Reading stories like the ones linked here is really moving, the determination to get married and be happy despite all odds is real love."